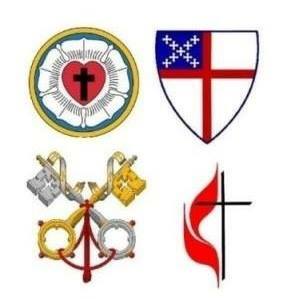 If you’re interested in going deeper into ecumenical relationships, you’re invited to explore the 5th Annual LARCUM (Lutheran, Anglican, Roman Catholic, United Methodist) Conference coming up Sept. 10-12 at the Saint John XXIII Pastoral Center located at 100 Hodges Road, Charleston, WV. According to Rev. Jonathan Moon, our Conference Chair of Christian Unity, the conference is a wonderful place to make connections, learn about our sister denominations and think of ways we can work together on issues at a local or state level. This year’s theme is “Vows that Matter: Baptism, Confirmation, Ordination.” Dr. Heather Murray Elkins will be the presenter for the United Methodist portion of the study this year. The LARCUM conference is open to anyone who wants to participate. UMC clergy are offered 12 continuing education credit hours. Download the registration form here. Download the schedule here. Contact Jonathan Moon at umcpastormoon@gmail.com for more details and registration information, or visit the LARCUM Facebook page by clicking here.